During Drift Factor the artist attempts to cover and protect the sand dunes in impossible conditions, near the Sandfields council estate which was built on the dunes and where Vye grew up. This video was made as part of a series of actions responding to the Ephemeral Coast project. 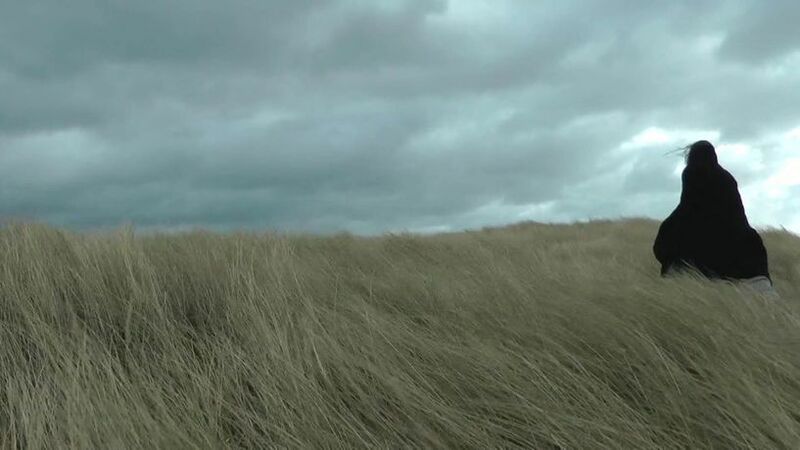 Filmed in shifting weather conditions and contexts, the actions use the environment as an integral part of the work. The body of new work, Attempts above and below sea level, includes actions at Kenfig dune system and pool, above the supposedly buried and submerged town and extends to plans for attempting to cover up with black fabric the ‘beached’ concrete whale at Aberavon. During Drift Factor the artist attempts to cover and protect the sand dunes in impossible conditions, near the Sandfields council estate which was built on the dunes and where Vye grew up. Through the act of trying to shelter and conceal, this film reveals the futility of the action and documents the forces at play. Filmed during storm Doris, the work embodies an act of transformation. The sense of foreboding and loss echo the metamorphosis of the coastline and days gone by. In acts of grief and hope; memory and forecast, the artist grapples with what is past and what is ahead, but perhaps most poignantly what is happening right now.